"I'm 53, and I feel great," proclaimed the woman with style the entire Who What Wear team envies, Grece Ghanem. 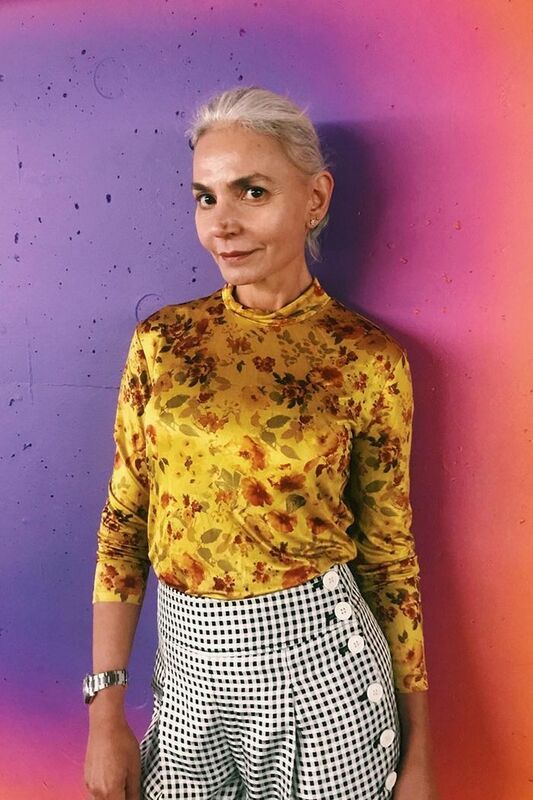 We always talk about how fashion has no age limit—wear what you want when you want at the age you want, period—so today we're here to bring you style advice from someone who has lived to see a lot of style. There were tons of questions I could have asked Ghanem, but I tried to keep it plain and simple. I wanted her opinion on trends. After over 50 years, which trends have stood the test of time? Which ones keep coming back around or, better yet, have never gone out of style? As someone who is more than obsessed with the ever-shifting seasonal trends, I could definitely use some grounding. That's where Ghanem comes in. She came back to me with the three trends she stands behind after seeing (and wearing) it all. Curious which styles she deems indestructible and why? Read on to discover her bulletproof list and to see images of Ghanem rocking each of the trends she supports wholeheartedly. "The return from the '60s of florals, plaid, and, of course, the imminent return of the animal print. It is fun to mix and match, whether in bold stripes or dramatic patterns." Floral + gingham is our new print-mixing aesthetic. Quite possibly the chicest way to wear animal print? While standing next to a motorcycle. There are officially no more excuses to not spice up your office attire. "I always had a penchant for elevated basics because I believe you can easily elevate these pieces to glam status. In this case, that's denim on denim. I used to pull off denim on denim in my 20s. I added a photo from those times!" Contrasting denim shades add a little more depth to your look. This is Ghanem in her 20s rocking this trend better than I ever could. Denim on denim always proves to be the best canvas for a myriad of standout accessories. "Trench coats are a timeless piece—a must-have in your wardrobe that will get even better with age too!" Trench coat + chunky sneakers = a level of cool we could only dream of. If you want to look effortless but still pulled together, wear this. Proof you truly can throw a trench coat over anything and call it a day. This post was originally published on an earlier date and has since been updated. Next up, shop dinner date outfits you're bound to feel like yourself in.